My favorite sale of the year is here again! I’m late getting this post up - the sale ends tonight at midnight- but better late than never! I use this sale every year to grab items that I never see go on sale. For example, I love Tory Burch’s one pieces, but they’re never on sale until the end of the season so I use the Shopbop sale to add a new one to my closet each year. I also stock up on some new sandals (again, NEVER on sale until the end of the season! ), and these in particular would be too much to afford at full price. I love a good home decor refresh and the holidays are the perfect excuse! It always amazes me how adding a few new items each season can make our home feel so new and exciting. The easiest change up? Throw pillows. Each season I put different pillows on our couch and on our bed that instantly change up the look of the rooms and makes them festive. I figured I'd start this post off with the picture I took of our Dream House! 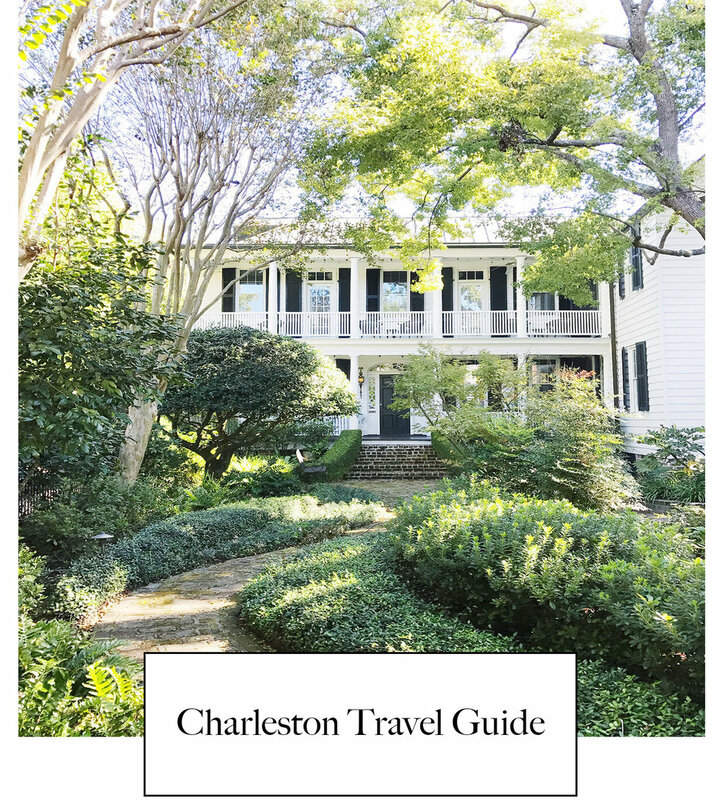 There were about 52 other runner-ups, since every home in Charleston had me swooning. The Southern charm was everywhere you looked: the flickering lanterns, the Spanish moss dripping from the trees and swaying in the breeze, the beautiful flower boxes on every window and the sound of the horse hooves on the cobblestone streets. I'll take all of it! This post has been a long time coming! Patrick and I recently celebrated our 1 year wedding anniversary last month and we seriously can't figure out where the time has gone!